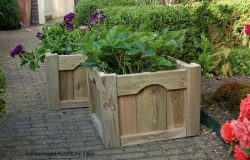 ﻿ Farmhouse furniture DIY from branches and trees with pointed dowel jonts. 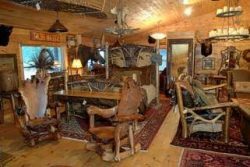 Farmhouse furniture made of logs and branches. 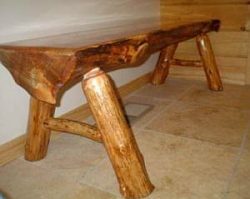 DIY examples how to make furniture from spruce and branches. 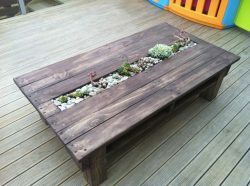 Tree trunks and driftwood converted to tables and benches. 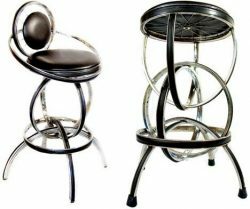 Old style farmhouse furniture. 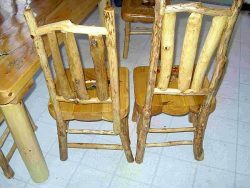 Farmhouse furniture DIY from branches and trees with pointed dowel jonts. 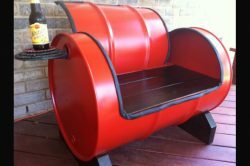 Free furniture plans » Inspiration for homemade furniture. 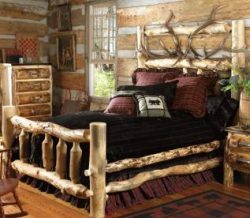 » Logs and branches used as construction timber for farmhouse furniture. 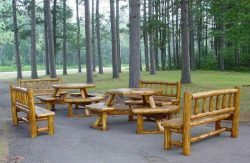 How to make tables chairs and benches from branches and spruce. 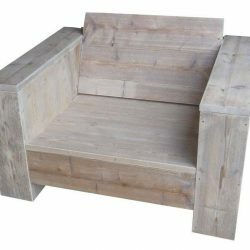 Farmhouse furniture, made from reclaimed firewood. 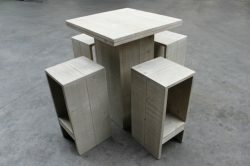 Superb looking furnishings for house and garden, all made from materials found in the woods. 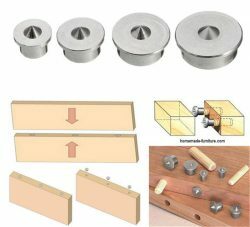 How to make the woodjoints is explained on the page about spoke pointers and pointed dowels. 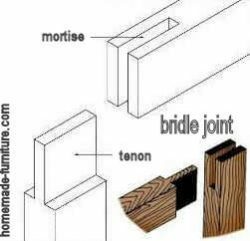 Another page that comes in handy while woodworking with spruce is about mitered wood joints. 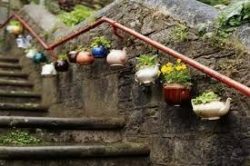 Most of these designs and woodworking examples are a translation of our Dutch woodworking instructions. 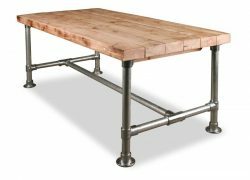 Farmhouse style coffee table made with branches for the legs and a large crosscut from the tree stem as tabletop. 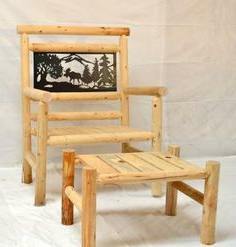 DIY examples for farmhouse furniture from branches. 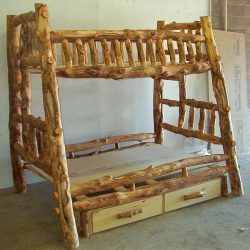 Log cabin style high sleeper bed for children. 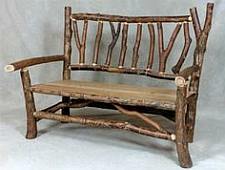 Garden bench made with branches and scaffolding boards. 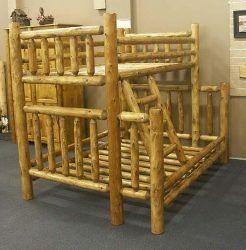 Strong bed for kids made out of round logs. All furniture homemade with branches and logs. 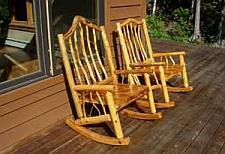 Great looking rocking chairs in old farmhouse style. 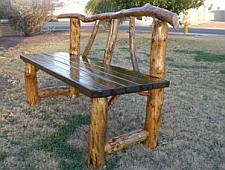 Farmhouse picnic table and wooden benches made from branches. 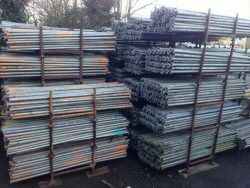 Spoke cutters and pointed dowels. 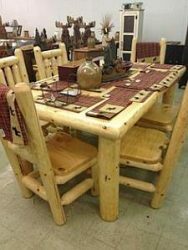 Assembly of these tables chairs and benches is best done with large dowels. 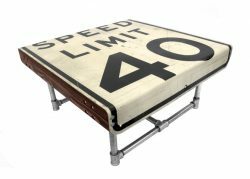 Those can be either pointed dowels or straight. How to make these pointed dowels depends on your available tools. 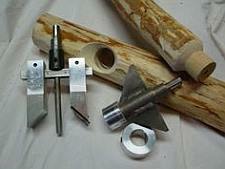 Have a look at the available tools to make a pointed dowel wood joint. 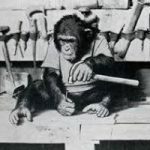 These woodworking tools are also called spoke pointers. Pins and holes made with a spoke cutter or pointed dowel tool. 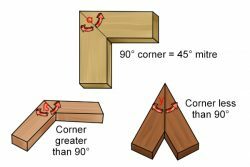 More classic methods for wood joinery. 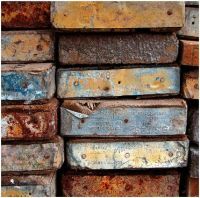 Classic connections of timber to make furniture. 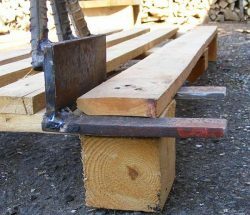 Bridle joints and clamping of wood to make planks larger. 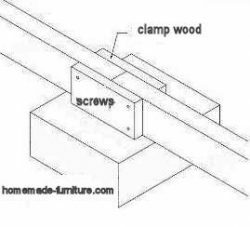 Mitered connections for wood and the application of dowels to make a strong joint for wood. 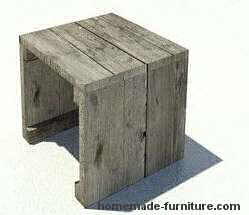 Farmhouse furniture made from scaffolding boards. 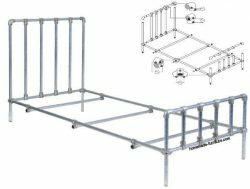 Easy assembly with self tapping screws. 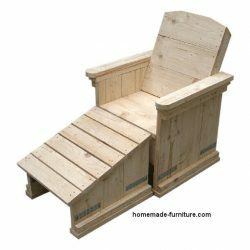 These are excellent construction drawings to make your first farmhouse furniture. 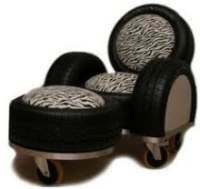 Make a complete lounge set consisting of a lounge style chair with matching wooden sofa and side tables. 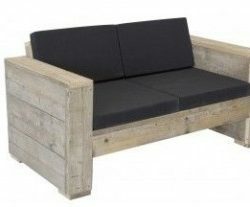 To make this lounge set complete you could add some nice wooden planters, also made from scaffolding planks.